The most romantic day of the year has arrived! What makes Valentine’s Day incredibly special is the glowing blush on your beloved’s cheeks as you tell her how much you love her. Imagine if she blushed every moment of her life. In the world of flamingos, that’s a magical reality. 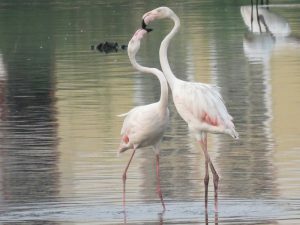 Flamingo couples celebrate not just Valentine’s Day, but all other days of the year, with a romantic ballet on the waters. They prefer a sunlit breakfast over a candlelit dinner. The shimmering waters offer an unlimited spread of fish. Yet, the appetite for love is insatiable, especially when one’s heart yearns to experience romance in its most exotic form. It is worth enduring leech bites in the dense forests of Thattekadu. 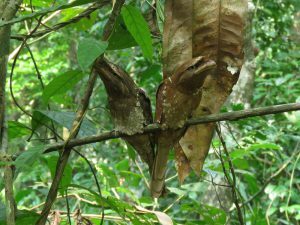 All the pain is forgotten when a bunch of dry leaves metamorphosize into a male and female frogmouth which stubbornly sulk at each other, yet team up for a food hunt at dusk. They camouflage themselves, yet they cannot camouflage their love, which escapes through a squawky duet. 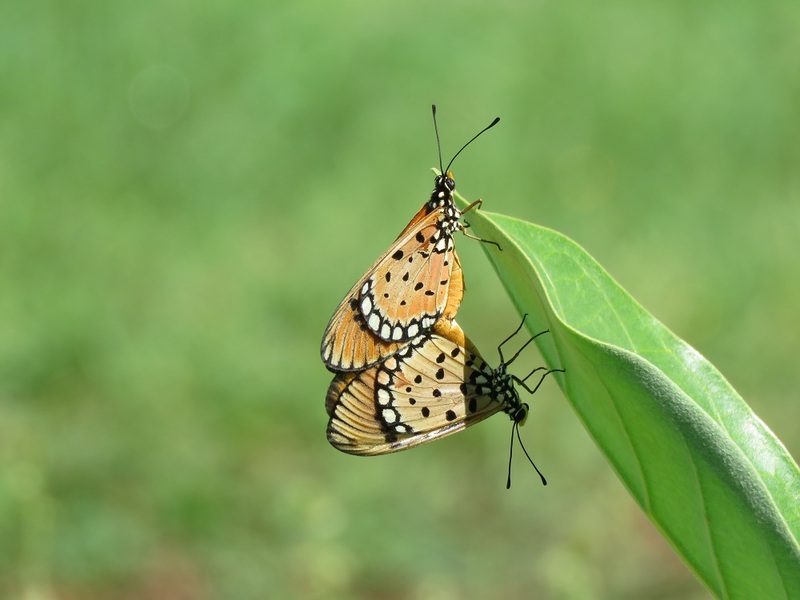 The Birdman is a travel blog on bird watching, butterfly spotting, and other adventurous nature trails around the world. This blog exclusively caters to the nature lovers and explorers. 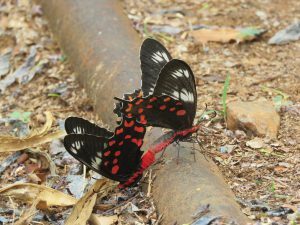 You can find destinations reviews, details of flora and fauna, various interesting encounters during the trip, guest columns and much more. Your Tammy and Yommo are awesome and your insta looks so cool. Regd, newsletter, our back end team is working on the Newsletter. Probably, by this month end, we can fix it on our website. Thanks for your feedback, you can contact me askthebirdman@gmail.com & mobile +91 97907 21279. Hi, thank you so much.